As a dentist, you spend most of your waking hours at your practice, so it’s understandable that you might not get many opportunities to see what it’s like in another doctor’s office. Dentaltown’s Office Visit profile offers a chance to meet peers, see their practices and hear their stories. 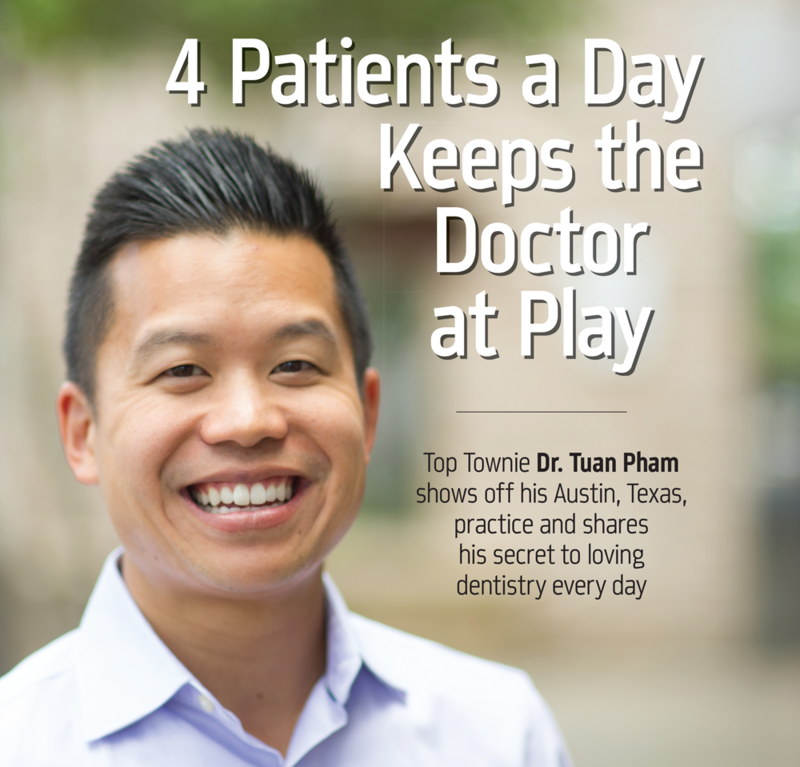 This month features Dr. Tuan Pham of Austin, Texas, one of Dentaltown’s most-followed Townies. Since 2007, Pham, known as “fliegenfischen” online, has posted more than 12,000 times on the message boards and has nearly 300 followers. Read on to learn more about the dentist behind the name. Tell us the story of how you became a dentist. I was a junior at University of Texas at Austin with more than 80 hours of credit when my adviser asked me what I planned to do with my life. I said that I did not know but that I’d return in two weeks with a definitive answer. I cannot lie—the main goal that I wanted in my career was to not work Fridays. I thought about who didn’t work Fridays: dentists. I went back to my adviser and said definitively that I would become a dentist. You have a pretty varied background. When you started practicing, you were overbooked and facing burnout. Now you’re relaxed, happy and seeing—on average— only four patients a day. How did you do it? I worked three types of offices before I discovered myself and what style of work I preferred. I tried FFS, high-volume PPO and ultrahigh-volume Medicaid (triple-booked) offices. Although I was the top producer at the Medicaid office, I hated the pace and knew that I would burn out. I feel like we often limit ourselves to what we can accomplish. Many think that working longer, harder and faster is the only answer to success. If we are true to ourselves and know what and how we want to practice, we can accomplish it by analyzing and learning the needed skills. I find that four doctor-patients a day is my optimum. I spend time talking to patients to effectively create the value of why treatment is needed. Then I spend time, without pressure, to do good and accurate work. How do you plan your day at the office? Our morning meeting at 7:45 a.m. is “patient-centric”— we discuss fun facts or info about them to remind ourselves. I see my first patient at 8 a.m., the second at usually 11. Hour lunch somewhere; the next patient typically at 1?p.m. and the last one around 3:30. Hygiene checks in between, and then I hit the gym by 5:15. You remain incredibly passionate and excited about dentistry, while many of your peers are bored or facing burnout. What’s your secret? Work should be enjoyed as much as possible. If we are going to spend 30 years (or more) of our lives doing something day-in and day-out, then we owe it to ourselves to create the work environment we want. I see four doctor-patients for a reason. It allows me to spend time with each patient and help him understand what and why dental work is recommended. In our career, many stresses come from misunderstandings and misperceptions. I focus on effective communication with patients so they thoroughly understand and accept their reality. Once they do, it becomes a win-win scenario. Patients get high-quality dental work with plenty of time and attention, and they have a thorough knowledge and understanding of why the work was needed and the issues it solved. It’s safe to say that you’re running your practice exactly the way you want. Let’s talk practice management. How did you get to where you are today? What’s your practice management style? I’m a man of my word. If I say that I will do something, I will always do it. Effective management and leadership are based on trust and consistency. When someone is a new boss, he’s a boss simply by title. Over time, with consistency and direction, the notion of you being a leader should shift toward respect, because your team will understand and realize that the things you do, expect and enforce are for the benefit of the entire office. If you are consistent and fair, and create an office environment where duties have valid reasons, your staff will grow to respect you and work with you. The time that I spend on my work. The best advice I received as a new dentist was: Do the work that allows you to sleep soundly at night. I don’t like to rush dental work. I want patients to feel comfortable as possible. As such, my appointment times are longer so that I can obsess over margins and have time for patient breaks as needed. What aspect of dentistry never ceases to amaze you? Technology and the implementation to make procedures more predictable. It blows my mind when I see cases from Townies like Dr.?Cory Glenn doing guided implants with 3-D model printing and treatment-planning a case from start to finish before even touching a tooth. What do you find is the best way to market your practice? Were you always successful, or was it trial and error? To market your practice effectively, you need to understand, first, your desired style of practice, and second, the types of patients and their values. There are patients who value service and quality above all. There are those who value lowest cost above all. And there are those who are in the middle and can be swayed either way, kind of like politics. Once you know all this, you can congruently market your practice to acquire the desired patients. I market via Facebook and by gaining online reviews, which cost pennies compared to direct mail. Facebook videos can be like constant billboards, and combined with social proof from high reviews (I have 100-plus such reviews on Google), potential patients will choose you. What do you think is the biggest problem dentists face today? High tuition and corporations leading to diminishing private practice. Tuition costs are sky-high, with some in the $400,000–$500,000 range. If you’re a young dentist saddled with debt and need to start repayment, what do you turn to? A corporation. Corporate-run dentistry focuses too exclusively on speed, volume and numbers. I am a fan of well-run practices, but not a fan of sloppy work for a buck. The problem is, this cycle feeds itself, because the costs and risks to start up or purchase a practice out of school become harder as debt load increases. These factors will cause the erosion and loss of private practice, and eventually an overall decline in dentistry. What is the greatest advancement of change you have seen during your tenure? Control that technology offers. Cerec, CBCT, etc., give us the ability to have active and physical control over work that simply wasn’t available in the past. I love the ability to have exact control over the crown process: If for any reason I mill a crown and it isn’t proper, I have the ability to recognize, address and solve the issue immediately, instead of waiting three weeks to realize that my crown doesn’t fit properly. I love that aspect of technology. Looking ahead, what would you like to see dentistry do in the next five to 10 years, in terms of the way it operates as a profession? I’d like to see organized dentistry put more effort into supporting, protecting and promoting dentistry instead of diluting it. I do not foresee this happening. It’s easy to talk about we’re good at. But what is something that remains a challenge for you? Dentures! Clinically, I have given up many procedures—including dentures—that I don’t enjoy or want to increase my skills in. Now I have in-house specialists or refer out. Describe the most successful or rewarding experience in your professional life. My biggest accomplishment is the creation of my Dental Maverick training program, and its live CE event, Maverick Summit, last August in Austin. There are core skills that every dentist needs to master outside of clinical skills for success in private practice. Learning to effectively communicate with patients and to lead and manage staff is crucial not only for success and satisfaction with patients, but also for creating your ideal office environment for the next 30 years of your career. To be excellent doctors, we must not be lopsided in our CE, and master both clinical and nonclinical skills. If you have the “best” hand skills and can create the most technically masterful crown, are you still a great dentist if you can’t get patients to accept the need for that crown? What has Dentaltown done for your professional life? What’s your favorite feature? My favorite part of Dentaltown is the message boards. I love message boards because the information is organic and constantly changing. There is so much information on the boards! You can learn from experts about practically any aspect of dentistry. Through the boards and Townie Meetings, I’ve met and created great friendships with some doctors that I would have never met in real life! Give us a snapshot of your life outside of dentistry. I recently got married to my beautiful and amazing wife, Kristin. We have a French bulldog and a Rhodesian mix that both like to get their teeth brushed. We love to travel, and Kristin always offers me amazing support and lets me go fly-fishing whenever I want. If you could send one note back to yourself before you began practicing, what would it say? Open your browser, go to dentaltown.com and click on the message boards. Who knows where I would be now if I’d opened my mind to all the possibilities earlier? What would advice would you love to give to dentists? That anything and everything is possible. Often it’s our preconceived notions and thoughts that hold us back. I meet so many unhappy dentists who say they want a change, but when I ask them why they don’t change they offer reasons or excuses like “It’s too hard,” “I don’t know how” or “I’m scared to do so.” Thirty years at work is a long time! Start with small changes today. Tell your assistant to lay out that instrument that you’ve been wanting her to. Every issue or problem that you recognize is the opportunity to steer your office toward your ideal. Solve enough issues and soon you won’t have any; before you know it, your office is what you want. If you’re scared or think it’s too hard, reach out to someone who’s done it. If someone else can do it, so can you! There will be a need for impression material in certain restorative challenges for years to come. Until an intra oral scanner can see through tissue & blood, impression material is still needed. But why this wholesale movement to the CAD-CAM and digital world? But the one main reason is the perceived expense of doing business with a dental laboratory. This is the big selling point most companies use. They even claim to not be in competition with laboratories! happen if everything goes exactly as intended, after the team has learned the ropes. But usually you have to cut a corner or two in order to slide in at one hour. Now that we are laying cards on the table let’s keep in mind what all of this is for… The success of your dental practice! And what do you demand from a laboratory (or an in-office mill) PREDICTABLE OUTCOMES! Even with an in-office machine you are limited as to what you can successfully design and mill. Single crowns will be the easiest to design, mill, sinter, and seat. Two or three posterior crowns in a row can be a time consuming nightmare as you try to get the occlusion and adjacent contacts right. Bridge design and mill takes a lot of experience to be proficient. The hardest thing is anterior restorations. Unless it’s a single crown with a basic shade, it will not be acceptable to most dentists. All of these things will end up going to the lab. It’s best if you just impress and send it to the lab in the first place, instead of making an expensive try and ending up having to send it to a lab anyway. Keeping in mind the golden standard that must be in place to realize a profit. PREDICTABLE OUTCOMES! The cad-cam company’s big ace in the hole is the cost. They claim to be far less in cost than sending to a lab. The truth is when all the costs are figured in, everything has to go perfect, or the cost of in office milling gets out of control in a hurry. An example of this is when you have to stop and do any part of this yourself, the costs sky rocket. Always delegate this lab technician work. If you find yourself being a lab technician, sell the machine ASAP! Your time is far too expensive to waste it touching the fabrication of a crown. Another example is when a well -meaning employee puts the wrong material, wrong shade, or simply designs the restoration slightly short of the margin, or over or under contoured in any area. A slightly over contoured adjacent contact will give you 30 minutes of chairside adjustment. The wrong material or shade will cause a remake. Now you are losing time and money. The cost of this restoration suddenly became far more than your laboratory fee. Breaking down the true cost of doing business without your lab. Monthly payment…..$3000.00 divided by 50 crowns per month = $60.00 per crown. 50 crowns is a lot, especially considering that you can’t design and mill everything. The rule is, can we design and mill this restoration guaranteeing PREDICTABLE OUTCOMES? The eMax or zirconia block is minimum $25.00. The $20.00 per hour person scanning, designing, choosing the correct block, milling, changing burs, performing maintenance, sintering, glazing, and fine tuning in the mouth before you get there hopefully does this in 30 minutes. That = $10.00. If at any time you, the dentist, steps into the production of a crown, you have lost money. At $400 t0 $800 production per hour minimum having to be produced by your hands only, the math is simple. It cost you $100 or more if you take 10 minutes more with that crown than with a lab crown. $100.00 total if nothing goes wrong and you don’t even think about it. If you alter your routine in any way, the cost of your in-office restoration skyrockets. If anything is wrong or fractures it is covered by your lab. Not by your mill! Simply become partners with Riverside Dental Studio with the intra-oral scanner of your choice. Riverside pays half the cost of your scanner! You scan, we design, mill, deliver, and guarantee. 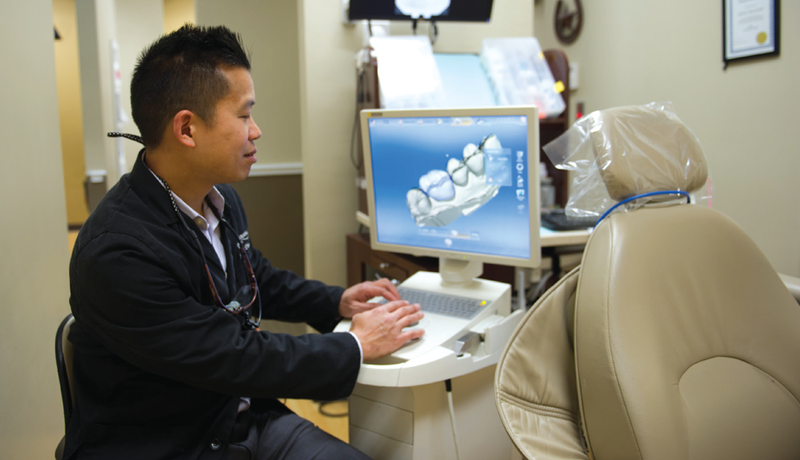 Riverside Dental Studio has specialized in cad-cam technology for over 11 years. Our expertise assures you of excellent restorations right from your first scan. We have 3 mills in-house and 3 scan-design units. 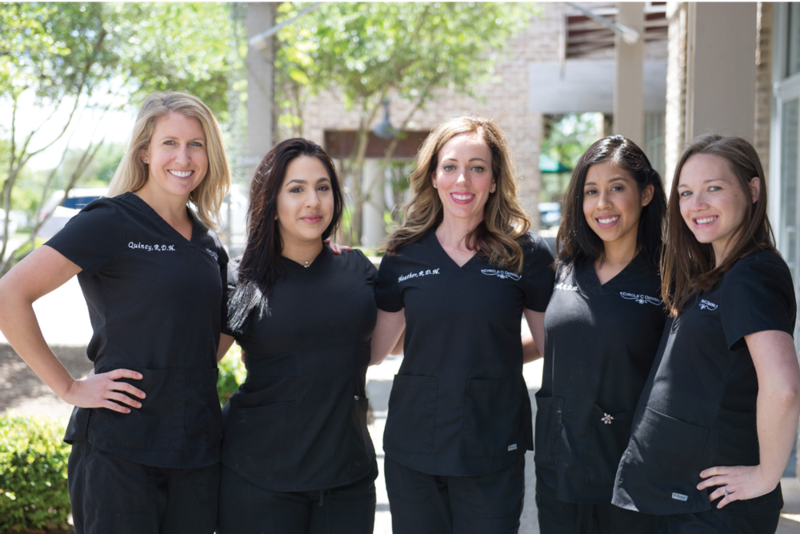 Specializing in implant restoration and cosmetics, we are the perfect partner for your cad-cam success. Save $10.00 per unit right now! If you are not quite ready to pull the trigger on an intra oral scanner, great news! We can save you money right away by scanning your impression. We give a $10.00 discount per unit for a model-less restoration! We give a $20.00 discount per unit for the scan from your intraoral scanner (that we are paying ½ the payment) and a modeless restoration. We are already excellent at producing a model free crown. We will help you make this a consistently easy way to save money and seat great work. Keeping in mind at all times the success and profitability of your practice. take you to a new, higher profit level immediately. Offers are subject to minimum volume. Partnership on an intra-oral scanner is subject to approval and limited offers remain. http://riversideds.com/wp-content/uploads/2016/09/Old-Logo.png 0 0 Scott Emett http://riversideds.com/wp-content/uploads/2016/09/Old-Logo.png Scott Emett2017-03-03 21:23:052017-03-03 21:45:35Why dental offices go digital. It's not what you think! Grinding on the contacts of your restoration is frustrating to say the least. Wasted time! Time is money. Compromising the strength and finish of the restoration. Sending it back to the laboratory for a quick glaze. Having to do the final finish work on something that you pay good money for. Missing the opportunity to impress your patient. The Invisible Abutment System is the strongest, most esthetic restorative option for implants today. What are the implant restoration challenges we face every day? Close to 80% of implant failures are attributed to excess cement. Cement retained restorations are the standard for restoring dental implants. Therein lies the problem. “The positive relationship between excess cement and peri-implant disease: A prospective clinical endoscopic study. METHODS: 39 consecutive patients with implants exhibiting clinical and/or radiographic signs of peri-implant disease were studied. Patients were enrolled in the study during a 5 year period in a private periodontal practice. Twelve of these patients had similar implants without signs of inflammation; these implants served as controls. There were 20 controls and 42 test implants. All were evaluated using a dental endoscope initially, all but one implant was evaluated at a 30 day follow-up. Results from both groups were assessed by two trained operators and recorded. RESULTS: None of the controls and all 42 of the test implants had clinical signs of peri-implant disease at initial treatment. Excess cement was found in none of the controls and 34 of the test sites. Thirty days after cement removal, 25 of 33 test sites from which the cement was removed had no clinical or endoscopic signs of inflammation. We will conclude that excess cement should be avoided. Most posterior and some anterior applications are fine for a stock abutment. What about those circumstances where a stock abutment is clearly contraindicated. Do you force the issue and use it anyway because the oral surgeon already sold it to the patient? Do you use it anyway just because you have it ready to go and a custom abutment will take more time and possibly be more expensive? Zirconia with no metal base is contraindicated because of deficient strength. Custom zirconia with a titanium base is contraindicated for most applications because of poor strength. It should be utilized only where strength will not be an issue. The screw access is too far facial to be unacceptable. Restoring a cosmetic/complex case, it can be limiting. I will attempt to explain this one because not everyone is familiar with it. In experienced hands it has proven to be a good technique. Using a stiff putty, fill the inside of the crown to be cemented on the abutment. After it is set, remove it and place some cement into the crown. Push the putty in to within .2mm of fitting all the way in. The excess cement is expressed and wiped clean. Remove the putty and place the crown on the abutment, seating fully. There should be very little cement expressed. These are the most popular choices we have when restoring implants. The Invisible Abutment System is the one restorative option we have that answers all of the challenges listed with the most popular choices that have been presented. What is the Invisible Abutment System? The Invisible Abutment is made with a metal substructure much like a PFM. With the UCLA abutment from the chosen implant company, we wax to full contour for the ideal emergence profile and tooth placement. The correct angle, length, and margin depth are created in wax. Cast in a semi-precious metal for strength, it is then opaqued and layered in the exact shades as the final restoration. Even the margin is layered with translucence for life-like beauty. The margin is placed 1mm. below tissue for simple cement clean up. The abutment is layered in ceramic the exact shade of the crown. Next we press an eMax to fit the Invisible Abutment. The two are seamless in fit and color. Simply torque the Invisible Abutment to place and cement the eMax crown. Far stronger and more life-like than zirconia, The Invisible Abutment answers the call to strength and better predictability. In fact, as we compare to all of the previously mentioned challenges with the most popular restorative choices, we can surmise the Invisible Implant Abutment answers every challenge. We now have a new and better arrow in our quiver of restorative choices. Zirconia can not replace gold! In fact, nothing replaces gold. If a patient bruxes and there is very little occlusal clearance, fabricate a gold restoration!!! Zirconia is a poor substitute for gold. Some laboratories advertise their zirconia to be used instead of gold. In fact they are proud to say that their zirconia is the answer for that ugly yellow, high priced gold. They claim that zirconia can be fabricated very thin on the occlusal and still be super strong. That is a lie! The fact is that zirconia and emax both need to be at least .8mm thick. That means your prep needs to remove .1 for cement spacer, .3 for clearance, .8 for material thickness (minimum, it may be thicker in other areas) leaving us at 1.2 mm of occlusal prep bare minimum. The walls, M,D.B.L. must all be 1.2 mm (minimum) thickness, thinning out to the correct gingival contour towards the margin. There can be no sharp edges around the occlusal edge. At .8mm you are still flirting with disaster, so always prep a little more instead of less. How did this material grab such acclaim and popularity in such a relatively short time? The general public wants all natural looking teeth, as white as possible. It had to pass all the tests of a material that survives in the oral environment, (strength, hypo-allergenic, and others) as well as being a material that can be shaped or milled into the exact likeness of teeth. While avoiding the high price of gold, relatively. We begged until we got what we wanted. Why do you always have to grind and adjust new restorations to get them seated? It’s frustrating for sure. It feels like you have been betrayed by your lab. It feels like your lab does not care about you. It is embarrassing to grind on a beautiful new crown in front of your patient. The more you grind the more you imagine your patient refusing to have that put in their mouth. The longer this goes on the more you think about calling your lab and complaining. Maybe you are thinking of changing labs for certain things. What do the high end laboratories do to make their crowns so “seat friendly”? Why doesn’t someone in your lab go get trained in having crowns seat easily? It’s not just one thing. It is many techniques, systems, employees, coming together as a high functioning team. It is happy employees with great attitudes, working towards a game they can win. Here is a couple of easy techniques for the lab that will make your life so much easier. 2- Let the stone set and harden for the recommended time. Pin and section. 3- Assuming you did the same for the opposing, articulate the case correctly. 4- Equilibrate the occlusion over the whole case with marking silk and a #8 round bur. Remove any junk or bubbles, then tap lightly with the articulating tape and softly grind the stone where it marks on the working model. Continue until the case is equilibrated and the occlusion looks socked in. Do not over grind. Use common sense and adjust until the bite looks natural and most all of the teeth are occluding. 5- Seal all of the occlusal surfaces on upper and lower. 6- Pour working model 2 more times. Once for solid model adjacent contacts. Once to check solid model accuracy. Overkill? Not on your life! 7- Fabricate the restoration as normal. 8- Tap and adjust the crown out of occlusion. Remove the stone sections and tap on the crown only. Adjust each of those marks on the crown. Repeat. 9- Seat the crown carefully on a solid model. Do not force down or abrade the adjacent contacts. Mark and adjust slightly each distal and mesial contact. Take your time as the crown seats. Only adjust where the red marks are, also adjusting the inside where it abraids on the stone. When the margins are fully seated and the contacts are broad, change to the 2nd solid model. 10- This is surprising for most technicians as they find that they did indeed abraid the stone on the 1st solid model and the crown needs further adjusting to fit onto the the 2nd solid model. This new technique will take some practice and repetition to master. The only excuse for not following this technique for every case, is if you did not provide an impression that can be repoured, or a digital case. This comes from almost 40 years of watching chair side while my work gets seated. Trust me! Technicians start this technique today. Dentists, have your lab read this and follow exactly. I promise you will both be very happy with the chair side time cut to nothing. And your patients will love you for it. The Seattle Study Club of Southern Utah has the amazing reputation of providing cutting edge continuing education. Unprecedented for a study club in Southern Utah! Continuing education in dentistry has reached a new level world wide, and now in Southern Utah. 6 years and going strong, the Seattle Study Club of Southern Utah is the first continuing education in dentistry to last more than a few months. Of course the reasons are many. Starting with the plain fact that the dental community (the top 30 dentists) in Southern Utah have a strong desire to build on the education that they have gained so far in their careers. field for 2 to 3 hours is the agenda. There are 9 of these evening meetings annually, and we take the 3 summer months off. There are 2 to 3 lunch and learn meetings in the same 9 months. The venues are different every meeting for variety, and they are always incredible in their offerings. The things they have in common are always great food, plenty of room, exceptionally good A.V., and attentive hosts. This particular continuing education for dentists is as varied as the venues. The fundamentals are revisited often such as diagnosis and treatment planning. The materials and techniques in dentistry are changing and growing faster than ever before. The Seattle Study Club of Southern Utah is dedicated to keeping the members abreast of the latest in laser, x ray, painless, and digital dentistry, just to name a few topics. The continuing education in dentistry in the Seattle Study Club of Southern Utah is truly second to none. It is a tried and true model of almost 30 years. The meetings are designed for the members to learn from each other, noting clinical successes, failures, and approaches to business. The meetings also bring well known national presenters in to an intimate setting that allows for questions and answers that could never happen any place else. Taking into account just the few opportunities and high level continuing education that has been mentioned, it’s easy to surmise that the value to members is priceless. If you are not in Southern Utah, I recommend that you look up and join the nearest Seattle Study Club to you. Count on the excellence that has been mentioned, but count on other things also. Perhaps the true value of continuing education is the higher level of confidence you feel with your staff and patients, and the rejuvenating of your spirit and re-dedication to your chosen career.